Whither a path loss model for intelligent relays? Mobile network subscribers expect to have coverage. Whether it is for making calls or sending a text, or for accessing their favourite applications, they expect a nearby network to provide them with high quality service. Yet the network operators leave coverage gaps, especially in remote locations (rural areas) and underground levels (basements of department stores, London Underground). Relays are an alternative solution to adding more base stations, which extend the network’s coverage (while not providing the additional capacity available from femtocells). Intelligent relays have attracted signifcant attention for early LTE deployments, when the network operators aim to provide wide area coverage yet LTE subscribers will be few. 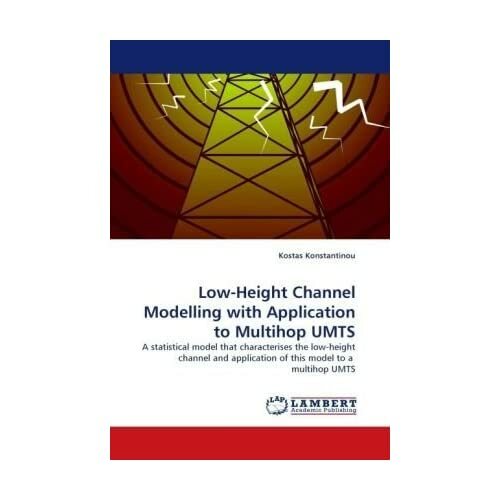 My book on relaying technology, entitled “Low-Height Channel Modelling with Application to Multihop UMTS: A statistical model that characterises the low-height channel and application of this model to a multihop UMTS”, provides propagation tools that can be readily applied to link budget calculations for networks that employ relays, whether for 3G or 4G systems. The propagation mechanisms that apply to the relay-user link are distinctly different from conventional links because of the low antenna heights of both terminals, which traditional path loss models do not cover. The suggested low-height mean path-loss, shadowing, and fast fading models were tuned with two measurement campaigns in urban and suburban locations in the UK, covering frequencies up to 2.1GHz. The performance of the models was evaluated with independent data sets. The book is available in Amazon and I’d be pleased to answer queries on this topic.